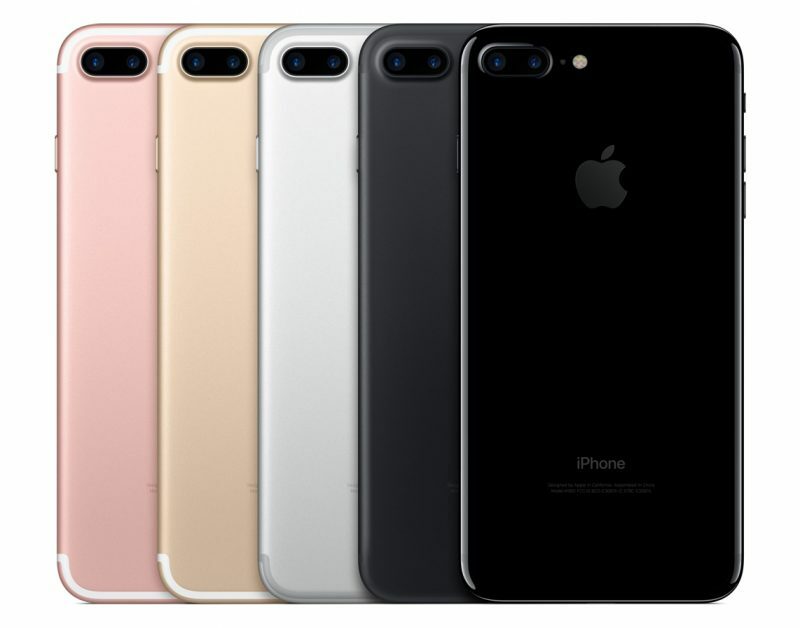 Apple will release three iPhones in 2018, including two OLED models and one LCD model that could feature a metal back like the iPhone 7 and the iPhone 7 Plus, reports Nikkei. Citing a source "privy to the company's product designs," Nikkei says the LCD model will feature a 6.1-inch display, while the two OLED models will measure in at 5.8 inches and either 6.2 or 6.3 inches. The LCD model with a metal back will "come in several colors," much like existing aluminum iPhones, and the body for the device could be manufactured by Casetek, a Pegatron subsidiary. Nikkei's information is in line with previous details shared by KGI Securities Analyst Ming-Chi Kuo, who often has accurate insight into Apple's plans, though there is some variance in size predictions for the three devices. 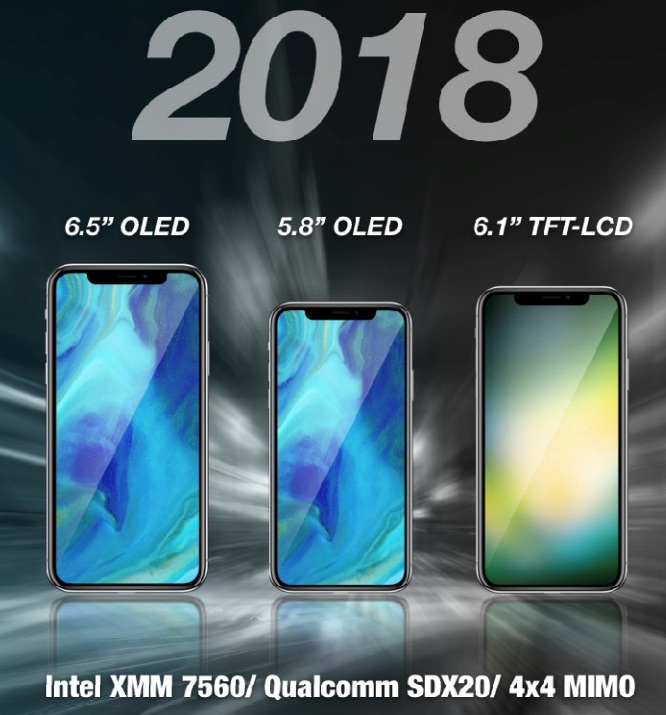 Kuo believes Apple will introduce three iPhones in 2018: an OLED model that measures in at 5.8 inches like the current iPhone X, an OLED model that measures in at 6.5 inches that will serve as a sort of "iPhone X Plus," and a 6.1-inch model that features an LCD display. Kuo has said that all three models will feature a full-screen edge-to-edge design and a TrueDepth camera system like the current iPhone X, but he made no mention of a different casing material. The current iPhone X, iPhone 8, and iPhone 8 Plus all feature glass backs to support wireless charging. A 6.1-inch LCD model with a metal body presumably made of aluminum would not be able to work with wireless charging, and it is not clear if Apple is willing to take a step back and remove a new key feature from future iPhones. The 6.1-inch LCD model has thus far been described by Kuo as a lower-resolution model that will be more affordable than the two OLED models, with the aim of targeting the low-end and midrange markets. Since earlier this year, we've been hearing hints of a two device lineup next year, with Apple planning to introduce a larger-screened OLED iPhone to sell alongside a new 5.8-inch model, which seems like the next logical iteration of the iPhone X. The first rumor of a third device with an LCD display came from Kuo in November. Come on 6.5" OLED X Plus, take my money and get in my pocket!!! And yes it will fit in my pants pocket because I don't borrow my wife's yoga pants like most guys do nowadays. I wear "regular" (if that's even a thing anymore)pants. I like the fact that they are making a low end LCD iPhone. Making it affordable and still have pretty great features are great combinations. Not everyone will care too much about OLED or LCD variations, as long as they own an iPhone is good enough for them. iPhone X Mini please, Apple! At least the notches have useful stuff in them: Facetime camera, dot projector, IR camera, proximity sensor, etc. Such an unnecessarily bad lineup. Hopefully they get rid of that model from the 2019 lineup. I like my iPhone X, but if they came out with an OLED phone with flagship-level processing power, but also included Touch ID and a headphone jack, I’d buy that ALL. DAY. LONG. Funny, i think its just too darn small. How do you stand using such a puny device, drives me crazy. Well, Apple is on its way to making iphones increments of 0.1" so everyone can pick what they like.